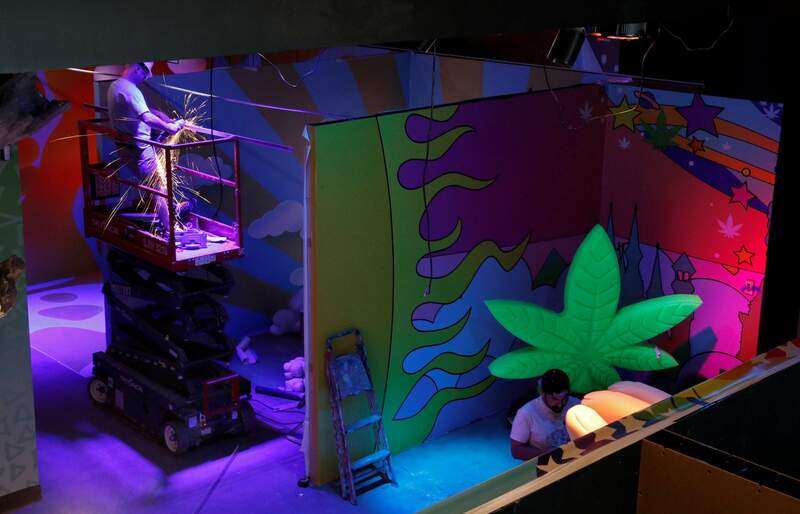 Workers finish exhibits at the Cannabition cannabis museum in Las Vegas. The museum celebrating all things cannabis with displays that include a glass bong taller than a giraffe and huggable faux marijuana buds is the newest tourist attraction in Las Vegas. 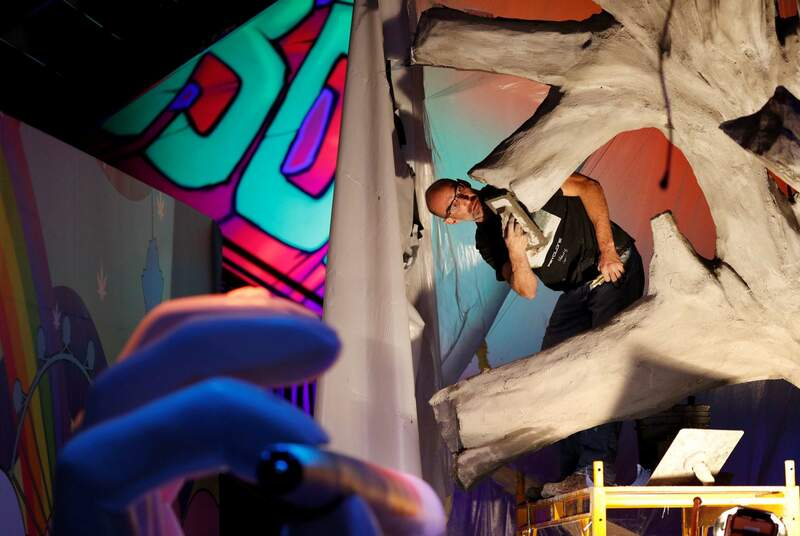 Gabe Williams works on a exhibit at the Cannabition cannabis museum in Las Vegas. The museum celebrating all things cannabis with displays that include a glass bong taller than a giraffe and huggable faux marijuana buds is the newest tourist attraction in Las Vegas. Fake marijuana plants are on display at the Cannabition cannabis museum in Las Vegas. The museum celebrating all things cannabis with displays that include a glass bong taller than a giraffe and huggable faux marijuana buds is the newest tourist attraction in Las Vegas. People walk by the Cannabition cannabis museum in Las Vegas. The museum celebrating all things cannabis with displays that include a glass bong taller than a giraffe and huggable faux marijuana buds is the newest tourist attraction in Las Vegas. Aaron Shadab works on a exhibit at the Cannabition cannabis museum in Las Vegas. The museum celebrating all things cannabis with displays that include a glass bong taller than a giraffe and huggable faux marijuana buds is the newest tourist attraction in Las Vegas. LAS VEGAS – A glass bong taller than a giraffe. Huggable faux marijuana buds. A pool full of foam weed nuggets. 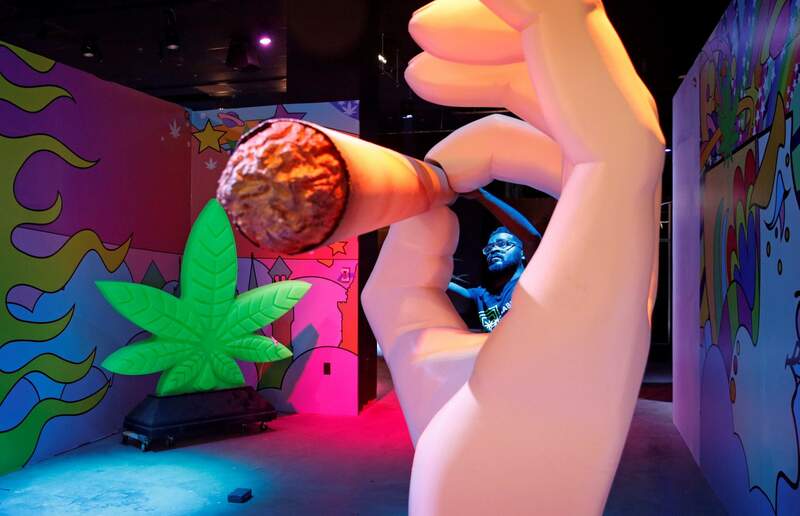 Las Vegas’ newest attraction – and Instagram backdrop – is a museum celebrating all things cannabis. 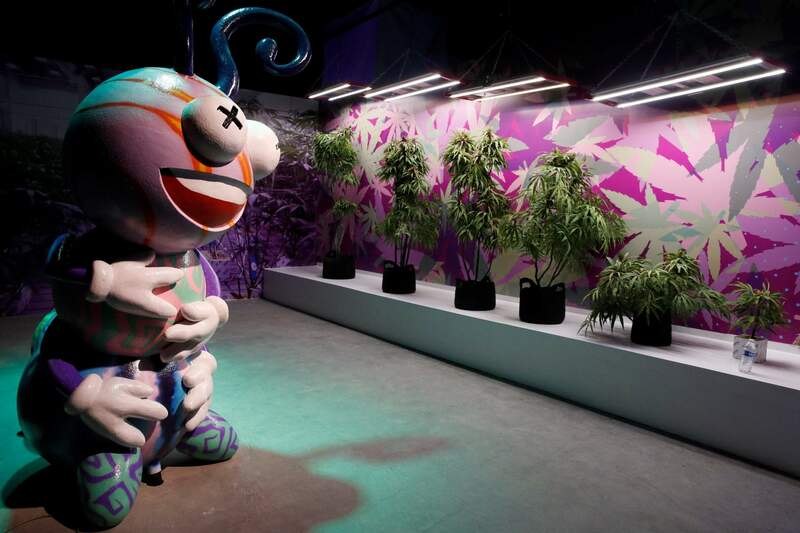 [imag:2]The facility – whose founder says has a goal of destigmatizing marijuana use – will likely land among the talking points officials and others use to try to draw gambling-resistant millennials to Sin City. 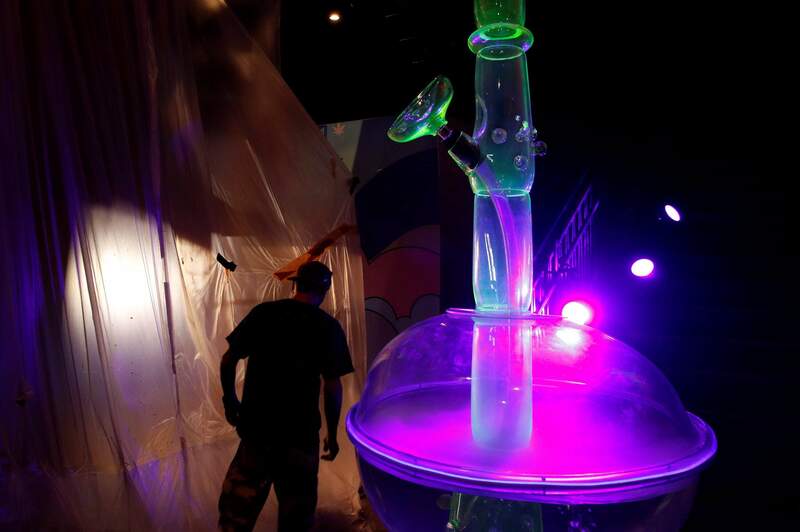 A man walks by a 24-foot-tall bong at the Cannabition cannabis museum in Las Vegas. The museum celebrating all things cannabis with displays that include a glass bong taller than a giraffe and huggable faux marijuana buds is the newest tourist attraction in Las Vegas. 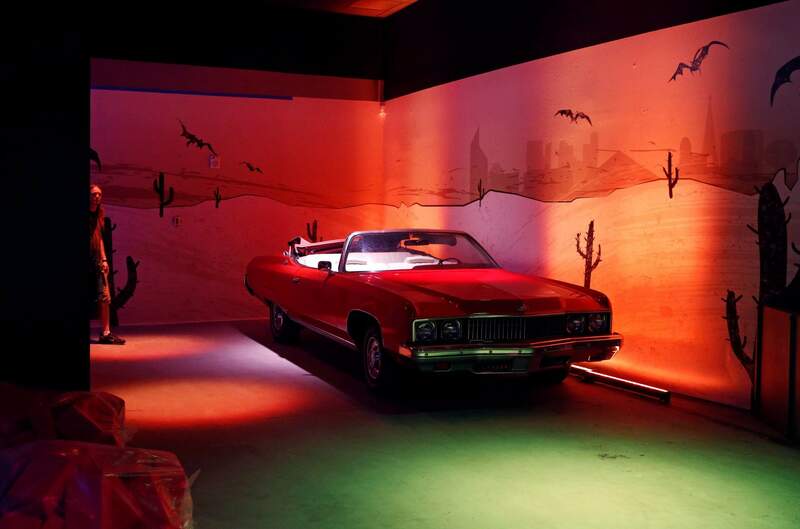 A Chevrolet Caprice owned by Hunter S. Thompson is on display at the Cannabition cannabis museum in Las Vegas. 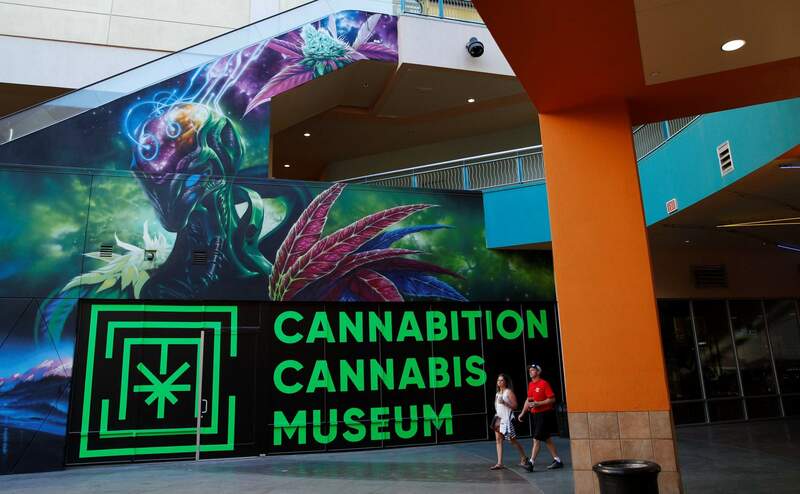 The museum celebrating all things cannabis with displays that include a glass bong taller than a giraffe and huggable faux marijuana buds is the newest tourist attraction in Las Vegas.